Arizona regulators have rejected a proposed $580 million transmission system Southern California Edison had sought to import more electricity into California. Computer Sciences Corp. said late Wednesday that it plans to restate fiscal earnings from 2000 to 2006 after finding "significant errors" in tax liability accounting and take a charge of up to $400 million. The Bush Administration has settled on Thomas O'Brien to be the top U.S. prosecutor in Los Angeles, the Daily Journal reports. The District Attorney's Office has added a charge in the case against Leland Wong, a former commissioner in the administration of ex-Mayor James Hahn. The union representing Southern California grocery workers accused three major markets Wednesday of proposing cuts in employer contributions that would bankrupt a health care fund that buys employee coverage, a claim the markets rejected. The rich are different, and so is what they're reading. Which is why the quest for wealthy eyeballs is booming despite a soft print market. Hilton Hotels Corp. has sold its Hilton Washington hotel for $290 million to a group of investors led by Canyon Johnson Urban Fund, the investment vehicle of former basketball player Earvin "Magic" Johnson. Shares in six Southern California-based real estate investment trusts received a boost Wednesday after two local trusts were upgraded from "hold" to "buy" by Deutsche Bank. A new study shows that Los Angels-based workers are seeing an increasingly bleak future on the horizon. Fisher-Price Inc said Wednesday that it is suspending sales and voluntarily recalling some of its Rainforest Open-Top Take-Along Swings. In the latest sign that environmental policies originating in California inevitably stretch beyond our borders, lawmakers on Capitol Hill have introduced a bill aiming to dramatically clean up ship emissions at all U.S. ports. Semtech Corp. said its board approved an accelerated stock repurchase program Wednesday where Goldman, Sachs & Co. will purchase $150 million-worth of the company's common stock. In 1985, when Ben Silverman was in junior high, he told his mom he needed to stay home from school to watch TV. Los Angeles health care management firm Hythiam Inc. has ended its deal to buy the remaining stock in Comprehensive Care Corp.
A handful of people were injured at Walt Disney World's Animal Kingdom Tuesday afternoon after a portion of the ride malfunctioned. Activus Healthcare Solutions Inc. has been acquired by PSS World Medical, a Jacksonville, Fla.-based medical product distributor. Shares in Guitar Center Inc. got an 11 percent boost Tuesday after a report surface that the retailer had hired an adviser; prompting many to speculate the nation's largest music equipment retailer was considering a sale. Insurance Commissioner Steve Poizner has called for insurers to cut workers' compensation premium rates by an additional 14.2 percent, saying California businesses still are not reaping sufficient benefit from system reforms. Van Honeycutt, the longtime Computer Sciences Corp. chief executive whose retirement was announced last week, will receive an $11 million retirement package, according to a regulatory filing. The 50 Wealthiest Angelenos,in order. When News Corp. chairman Rupert Murdoch reportedly called satellite television provider DirecTV a "turd bird" in September, the folks at Liberty Media took advantage of it. Spider-Man, the crime-fighting superhero that has carried Sony Pictures Entertainment to the top of the box office heap for the past few years, could have a real future as a product spokesman. Some Amgen stockholders have agreed to sell their stock to a so-called tender troller, and they may not get the premium they expected. If you have a lot of money you can buy an island or take a space flight. An association of apartment owners is considering a lawsuit that would challenge the L.A. City Council's extension of the rent-control ordinance. In its biggest such push in years, the business community put up major money to back reform candidates in the Los Angeles school board race. Con Howe joins CityView after stint at Urban Land Institute. Who makes money by getting the super-rich what they want? Realtors, jet sellers and art dealers. he 50 Wealthiest Angelenos,in order. In another step toward more non-defense work, Northrop Grumman Corp. is finishing a $500 million wireless data network for New York City emergency response workers. A look at several publications that have launched locally since the beginning of the year. Subprime loans, when done right, can open the door to home ownership, writes Charles Crumpley; so he's concerned about calls to possibly restrict them. Skechers Inc. isn't denying reports that Kohlberg Kravis Roberts & Co. is interested in buying the popular sneaker company. Electric Cars a Tough Sell in L.A. They roll down the street in stealthy silence and run on juice from your wall socket, and for Rob Thomas, they're the antidote to the ills of high gas prices and petroleum dependency. When they moved from rich to super-rich, they found out that managing their money was a new career. Morton's Steak House heir Harry Morton is expanding his Pink Taco restaurant chain into Los Angeles next month. Cabi West Coast Acquisitions LLC has agreed to purchase a 33-property portfolio from Arden Realty Inc.
Los Angeles entrepreneur Hardeep "Hardy" Grewal has bought the rights to sell Subway sandwich shops in Orange County to go along with his L.A. County empire. Rock & Republic founder Michael Ball had a troubled youth that included jail time perfect training for the fashion world, where he says he's received death threats. The reality television production company behind Fox Broadcasting's "Trading Spouses" and "Temptation Island" is planning to bring L.A.-based TeamDating.com, an online dating Web site, to the small screen. Peter Dreier writes that the widening gap between L.A.'s richest and its poorest is a serious issue that cries out for action. How the Business Journal calculates wealth. State regulators and local hazardous materials inspection officials are looking to change the way they inspect thousands of businesses in Los Angeles County and throughout the state. Some of the wealthiest on last year's list didn't return. Others joined, and still others are contenders who might make it next year. To Have and Have Not in L.A. The traditional wealth gap between rich and poor in Los Angeles has grown. Hollywood 86 is set to open this summer at the site of a Prohibition-era speakeasy owned by silent film legend Rudolph Valentino. Some of L.A.'s richest got richer thanks to the boom in stocks and real estate. DAVID WHITMIRE HEARST JR. & GEORGE RANDOLPH HEARST JR. Some CEOs make so much money they may find themselves in the top 50 soon. L.A., O.C. councils join forces for better access to capital. DTT Surveillance makes digital equipment that allows restaurant owners to keep a close eye on their establishments. Regional business news from around L.A. County. Getting a boost for the week were Fremont General Corp, Prospect Medical Holdings Inc. and RadNet Inc. Slipping were Peerless Systems Corp. and Arrowhead Research Corp.
Kaufman & Broad SA, the French homebuilder KB Home sold to PAI Partners earlier this week, said it plans to hire an independent consultant to assess an offer to buy out shareholders at a price that is below market value. MADISON AVENUE used to have high hopes for the lowly postage stamp. For decades, advertisers imagined that if only the legal barriers against commercial images on postage stamps came down, they could do great things on envelopes. Tribune Co.'s prolonged and tortuous undertaking to sell itself isn't getting any easier. The California Public Utilities Commission voted Thursday to open talks to return California to a deregulated retail energy market, despite objections from legislative leaders that it is "not within the discretion" of the utilities panel to do so. The California Public Utilities Commission on Thursday moved to possibly reopen a program suspended during the state's energy crisis in 2001 that lets consumers buy electricity from independent suppliers rather than from utilities. Shares in Keystone Automotive Industries Inc. gained nearly 4 percent after the company posted strong fourth quarter profits that beat Wall Street's expectations. Baseball-card and bubblegum maker Topps Co. said Thursday it has received an unsolicited buyout offer of $10.75 a share, or roughly $416 million, from Upper Deck Co.
A third top executive at California's government -controlled workers' compensation insurance company has been dismissed amid a continuing probe into allegations of conflicts of interest and fraud involving as much as $1 billion. RadNet Inc. said Thursday that it has agreed to acquire Rochester-based Borg Imaging Group for $12 million in cash. The deal also includes about $1 million in debt. Herbalife Ltd. Chairman Peter Castleman and board member David Halbert resigned Thursday to pursue other business activities. Gov. Arnold Schwarzenegger announced the appointments of six judges to the Los Angeles Superior Court. Hilton Hotels Corp. said Thursday afternoon that Matthew Hart will be the company's new chief executive effective Jan. 1, 2008. Shares in ValueClick Inc. lost ground for the second straight day after it was downgraded by Piper Jaffray & Co. due to concerns over a Federal Trade Commission probe into its sales practices. Shares in Hot Topic Inc. fell more than 5 percent Thursday after the retailer posted a dip in same-store sales. Amgen Inc. said that it has received a subpoena from New York's attorney general related to the sales and marketing activities for its drugs. The biotech also announced it would sell $4 billion in senior notes to fund a stock buyback. Arden Realty Inc., one of the biggest landlords in Southern California, has agreed to sell a 33-property portfolio to Cabi West Coast Acquisitions LLC for just under $1.5 billion. As the Golden State's economy becomes more complex, a new study suggests the state's economy may begin to suffer "brain drain" if it doesn't start courting, and keeping, more college graduates. Officials from California demanded that federal regulators allow the state to impose the strictest automobile and light truck emissions rules in the nation. Walt Disney Co.'s Orlando-based theme park Disney World has reached an agreement on a 30-day extension of its labor agreement with unions representing 21,000 employees. Prospect Medical Holdings Inc. said that it has acquired Ontario-based ProMed Health Care for $48 million in cash and stock. Electronic Clearing House Inc. said Tuesday that current Chairman and Chief Executive Joel Barry will retire on July 2. Billionaire investor Kirk Kerkorian, who holds a 56% stake in MGM Mirage Inc., launched an overture for two of the big Las Vegas casino company's prized assets in a volley that has put the entire company in play. Flying this summer will be no picnic, given that area airports predict higher fares on some flights and fuller airplanes. Thirty years ago, Shawn Crosby traveled to a galaxy far, far away and never came back. This year, Crosby wanted to stay in L.A., so he helped bring this week's Star Wars convention to Downtown for the first time. Robert Gluck was appointed Tuesday to the position of airport manager for L.A./Palmdale Regional Airport, the city's airport agency announced. Houlihan Lokey said Tuesday that it has acquired energy merger and acquisitions advisory boutique Baxter Energy Partners for an undisclosed sum. In a controversial move, the Los Angeles City Council has extended the city's rent stabilization ordinance to include new apartment units built to replace older ones. Universal Music Group said it has received conditional approval from the European Commission to buy BMG Music Publishing for $2.2 billion. Pilots from US Airways Group Inc.'s union picketed airport terminals in Los Angeles, Phoenix and Las Vegas on Tuesday, urging US Airways management to forge a new combined contract. Universal Studios said Monday that it has formed a partnership to build a theme park in South Korea. Shares in Fremont General Corp. soared nearly 40 percent Tuesday after the company sold its commercial real estate unit and shuffled its executive lineup. Computer Sciences Corp. will delay its fourth quarter earnings report so that it can do some additional accounting involving taxes on transactions from earlier quarters. The Los Angeles Sparks' dance performers, the Ole Skool Dance Crew, are hoping to help take the women's basketball team to a new level. Numotech is trying to bring oxygen therapy for wound care to the masses with a portable hyperbaric oxygen kit that can be deployed near battlefields, at accident scenes or even in the home. El Segundo-based Computer Sciences Corp. has offered $104 million in cash to buy Malaysian software company Computer Systems Advisers. Just hours after a raft of articles suggesting the impending collapse of his business hit the papers on April 11, 2002, Michael S. Ovitz did what Hollywood moguls had done for a generation: He called Anthony Pellicano. Economic growth in Los Angeles County will slow into 2008, but the county will perform better than surrounding areas, according to a new forecast. Charles Crumpley writes that it's time for state legislators to roll back California's sales tax on gasoline. Los Angeles-area business leaders and government officials flew to Sacramento last week to lobby legislators for health care reform and transportation funding. Shipping lines are working to turn the tide on freight rates this year, with potential implications for retailers, manufacturers and others heavily dependent on imports. Former Assembly Speaker Bob Hertzberg is now chairman of G24 Innovations, a Wales-based company that makes lightweight, flexible solar power cells. Hovannes Abramyan argues against the requirement that construction companies working on publicly funded affordable housing must pay above-market wages. It appears that reports of classical music's commercial death in Los Angeles have been greatly exaggerated. Woodland Hills edible film strips maker InnoZen Inc. has been acquired by a New York company in a restricted stock deal worth about $40 million. KB Home has accepted an offer of $812 million from a Paris-based buyout firm for the 49 percent stake in its French division. Douglas Emmett Inc., a Santa Monica-based public real estate investment trust, has purchased Century Park Plaza in an off-market transaction valued at about $33 million. Secret Weapon Marketing isn't trying to bring in new clients. Instead the agency limits its clients to three. Bills on workers compensation, housing development, freight movement and fuel prices are among nearly two dozen that made the California Chamber of Commerce's 2007 Job Killer Bills list. Walt Disney Co.'s Chief Executive Officer Robert Iger said he was "appalled" and officially complained to the Palestinian government about a terrorist group's use of a Mickey Mouse-like character. Shares in Maguire Properties Inc. gained nearly 4 percent Monday after the company said it agreed to sell three office properties in Orange County for $310 million. Gov. Arnold Schwarzenegger rejected on Friday Australian conglomerate BHP Billiton's proposal to build a giant liquefied natural gas terminal off the Ventura County and Malibu coast, dealing a death blow to the controversial project. FUNDING: Tech transfer specialists establish global venture capital operation. Online advertising and marketing firm Gorilla Nation Media LLC has secured $50 million in funding from Boston-based Great Hills Partners. Randy Parsons and Hank Gatlin write about some of the ways businesses can mount effective defenses against terrorism. BabyFirstTV, the commercial-free cable channel aimed at babies, toddlers and their parents, is growing up. GolfTEC offers its online putting analysis at modest prices. Demand Media Inc. buys niche Web sites, cleans up their interfaces and provides social networking tools with the goal of building an audience and selling advertising. Now that several top-tier law firms have given first-year associates a big raise to $160,000, some of their smaller regional competitors say they're enjoying the consequence: a bump in business. Gary Neville has transformed a dilapidated office development into an environmentally efficient, mixed-use commercial building in Venice. Hansen Natural Corp. said Monday that it intends to file its 2006 annual report by June 14, the deadline set by Nasdaq, which has threatened the soft drink maker with delisting. Shares in Innovo Group Inc. shot up more than 13 percent Monday after the company entered into a three-year distribution and licensing agreement for its Joe's Jeans brand with Japan's Itochu Corp.
Shares in CalAmp Corp. plunged more than 37 percent Friday after the wireless communications firm reported dismal fourth quarter numbers it attributed to satellite problems. Los Angeles, once considered the less serious stepsister of New York's Seventh Avenue, is the breeding ground for many of today's most successful contemporary brands. Housing affordability for first-time buyers improved slightly in Los Angeles County and across the state in the 2007 first quarter, although prices remained high despite tumbling sales. Shipping lines and the union representing more than 14,000 dockworkers at the ports of Long Beach, Los Angeles and other West Coast ports have agreed to start contract negotiations early next year. Wescom Credit Union said it has agreed to acquire Rancho Cucamonga-based CU West Mortgage Inc. for an undisclosed amount, Wescom said Friday in a press release. L.A. County's job engine slowed in April as both job creation and the unemployment rate were virtually unchanged from March. Economic growth in L.A. County will slow through the rest of 2007 and into 2008, but the county will still perform better than surrounding counties that have been harder hit by the housing slowdown. Computer Sciences Corp. has offered $104 million in cash to buy Malaysian software company Computer Systems Advisers Bhd. KB Home has accepted an offer of $812 million from Paris-based buyout firm PAI Partners for its stake in French developer Kaufman & Broad SA. A proposal by Occidental Petroleum Corp. to build a refinery on Panama's Pacific Coast moved closer to reality this week with the signing of a memorandum of understanding with Qatar's state oil company. Southern California Edison proposed performing a $52 million study of a coal-fueled power plant that would produce less global-warming pollution than conventional generators, the Rosemead-based utility company said. Northrop Grumman Corp. said Thursday that its information technology sector has secured part of a nine-year $20 billion information technology contract from the U.S. Army. Univision Communications Inc.'s new owners threw a coming-out party here Wednesday that made clear that the Spanish-language network has bid adios to its tight-lipped ways. National Technical Systems Inc. has named Raffy Lorentzian as its chief financial officer. Shares in Napster Inc. gained more than 2 percent Wednesday after the company reported fourth quarter earnings that beat Wall Street's expectations. Beginning today, ESPN's MVP wireless sports service will be available exclusively on Verizon Communication's network. A judge for the federal Department of Transportation found that higher terminal fees the airport agency imposed on low-cost and international carriers at LAX earlier this year are unreasonable and discriminatory. MySpace will begin rolling out branded news and entertainment content from National Geographic, the New York Times and Reuters on its social-networking Web site. Jim Warren, the chief operating officer of Burbank-based BRC Imagination Arts, died on May 12 from cancer. He was 59. Walt Disney Co. is launching a travel-focused video-on-demand channel that will allow subscribers to book reservations for Disney vacations. Hilton Hotels Corp. said it would spend $1.5 billion in a partnership with New Delhi-based real estate development firm DLF Ltd. to acquire land and build 50 to 75 hotels in India. The head of the Securities and Exchange Commission's Los Angeles office is stepping down after 5 1/2 years of cases against mutual fund managers, corporate offenders and scam artists. Shareholders of Northrop Grumman Corp. have rejected a call for an annual advisory vote on executive pay. Disney's ABC Television Group said Tuesday that it has signed a multiyear deal to bring its broadcast news and shows to Sprint Nextel mobile customers. Despite signs of an impending implosion in the local mortgage lending market, two L.A.-based mortgage lenders managed to place among the top five in the nation in financial performance last year, according to a recent report. Napster Inc said it has agreed to make its music subscription service available on several of Motorola Inc.'s mobile phones. After suspending its workers for wearing union buttons three times in the last year, the Westin Los Angeles Airport hotel has reversed course , agreeing to allow small buttons and to provide back pay to those who were previously disciplined. Shares in Kaiser Aluminum Corp. fell nearly 10 percent Tuesday after the company reported a 55 percent slide in profit. Gov. Arnold Schwarzenegger's revised budget forecast reflects his belief that the state's economy has largely withstood the ravages of the housing slump. 21st Century Insurance Group has agreed to sell the rest of its outstanding shares to American International Group Inc. after AIG increased its offer to $813 million. A federal judge has denied a request by the Securities and Exchange Commission to hold Gemstar-TV Guide International Inc.'s former Chairman Henry Yuen in contempt until he pays $12 million after he was found guilty of securities fraud last year. Amgen shareholders approved corporate governance reforms. Gorilla Nation Media, the online ad-placement firm founded by two former entertainment attorneys, is becoming a heavyweight in online ad placement for movies. "The grinder," one of the largest paper shredding machines on the West Coast, has started doing its thing at Iron Mountain Inc.'s Pico Rivera facility. 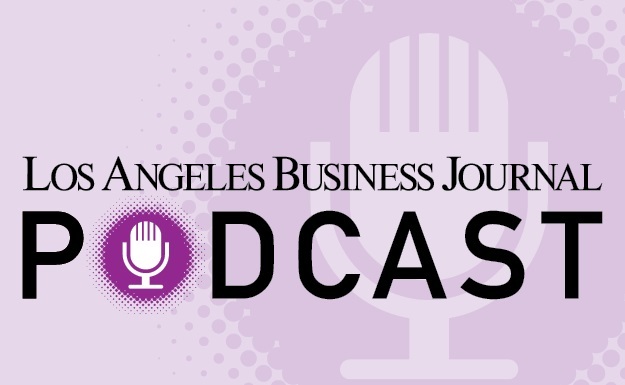 Regional business news from around L.A. Country. The U.S. Supreme Court on Monday rejected an appeal from Amgen Inc. in a patent fight it has been waging with two other companies over one of its anemia drugs. The Port of Long Beach has come a long way since it opened for business nearly 95 years ago, when waterborne trade in Southern California consisted primarily of lumber, fresh fish and the occasional load of citrus. David Pyle, president of West Coast University, is realizing his dream of fast-track training for nurses and other health care workers. Farmer Bros. Co. has made a move to accelerate growth with the purchase of a high-end coffee roaster. But is it too late to the premium coffee game? Walt Disney Co.'s ABC network has reached a deal with Univision Communications Inc. to produce Spanish-language versions of the network's hit show "Desperate Housewives" for broadcast in the U.S. market. State air regulators are poised to adopt a sweeping rule that would require construction firms to spend millions of dollars to purchase less-polluting bulldozers and backhoes or retrofit their existing equipment with cleaner-burning engines. When Natalie Willes applied to live in Mozaic, a new apartment complex next to Union Station, she went through the usual routine: tour, reference list and credit check. Manhattan Beach-based True Religion Apparel Inc., a darling of the high-end denim market and Wall Street, seems to be getting a dose of reality. Magellan GPS in San Dimas provided money and the handheld navigation systems for three runners on a cross-Sahara journey. Northrop Grumman Corp. said Monday that it has sold a manufacturing and marketing license for an air traffic control system to Indra, a Spanish technology company. Gina Marie Lindsey, the former head of the Seattle-Tacoma International Airport, was named as chief of L.A.'s airport system. Shares in Southwest Water Co. dipped more than 3 percent after the company missed analysts expectations due to delayed construction and increased expenses. Harold L. Katz believes the proposal to turn Olympic and Pico boulevards into one-way routes is worth considering, especially in light of L.A.'s historic refusal to address traffic issues. Avery Dennison Corp. is betting that a strategic partnership with Motorola Inc. will jump start sales of its radio frequency identification devices. Meltdown Ahead For Yogurt Shops? Los Angeles may be heading for a frozen yogurt overload: Pinkberry has 20 stores in California and such competitors as Kiwiberri, Mr. Snowberry and Berri Good have L.A. County locations. Jeff Mezger loves a good challenge, and as the new chief executive of KB Home, he's got a few, such as the declining housing market and a tarnished corporate image. Salon City, a magazine intent on making the jump from the hair care category to mainstream stardom, will launch an advertising campaign this summer at Los Angeles International Airport. Randy Freer oversees Fox Sports Networks, which has broadcast rights for the Lakers, Clippers and Dodgers. The business has faced challenges, however. Investors gave $100 million to the three founders of Santa Monica Media Corp. Now they're on the lookout for a company to buy with the money. Consumer acceptance of high-definition digital video discs remains a question, and that means high-definition audio discs won't be on the market soon. Global Trek Xploration Corp.'s sneakers with embedded Global Positioning System transmitters allow parents to track their kids or employers to track workers. Josh Harris, an entrepreneur known for wiring his home with cameras and living online for six months, has recently set up a full studio at a Hollywood soundstage for his new firm, called Operator 11 Exchange, an Internet TV broadcaster. Countrywide Financial Corp. plans to add more than 2,000 workers to its sales force this year even as a slowdown in the housing market forces rivals to cut staff. Primedia Inc. agreed to sell 70 of its enthusiast magazines to Ron Burkle's Source Interlink Co. for $1.2 billion in cash, Source Interlink said. Blue Cross of California agreed Thursday to stop canceling individual health coverage unless it can show policyholder deception , a major shift by the state's largest health insurer that could lead to sweeping industrywide changes. Shares in California Pizza Kitchen Inc. soared nearly 10 percent Friday after the company reported a boost in same-store sales along with a sunny forecast for its second quarter. Shares in KB Home gained 3 percent Friday after the Los Angeles homebuilder said that it has received an offer for its 49 percent stake in Paris-based homebuilder Kaufman & Broad SA valued at $782 million. The federal government Thursday awarded $15 million to the twin ports of Long Beach and Los Angeles to help beef up security. Shares of U.S. Auto Parts Network Inc. jumped more than 10 percent Friday after the company reported better-than-expected first quarter earnings and reaffirmed its annual earnings forecast. Retail sales slumped 2.4% compared with April 2006, slipping to $52.6 billion in the most wretched year-over-year showing by major retailers since the International Council of Shopping Centers began tracking the data in 1970. Shares in THQ Inc. slipped nearly 5 percent after the videogame developer released lower-than-expected earnings flanked by a lower forecast. Allstate's decision to stop writing new policies in the state because of the threat of costly natural disasters is drawing wide-ranging reactions. The stock prices of a couple of local companies hit highs for the past year, thanks to strong earnings. However, a couple others hit 52-week lows one because of poor earnings and another because of concerns expressed by regulators. Strong demand for wheels drove a sharp rise in profits and revenue at rim manufacturer Superior Industries International Inc. Negotiations on a new labor contract for Southern California supermarket workers, abruptly halted Tuesday, are expected to resume next week amid a dispute over health benefits. A Food and Drug Administration advisory panel is recommending that Amgen Inc. and Johnson & Johnson be required to list new restrictions on the labels of their top-selling anemia drugs. Peruvian activists and an environmental/human rights group filed suit against Occidental Petroleum Corp., charging that the Westwood-based oil giant has contaminated land and rivers in Peru. Abraxis Bioscience Inc. said that first-quarter net income soared on higher sales of generic anesthetic and analgesic products, along with its proprietary breast cancer treatment Abraxane. Backed by the largest Spanish-language broadcast network, a massive campaign by Latino media to spur millions of eligible Hispanic residents to become U.S. citizens is showing results. The mortgage industry may be contracting, but No. 1 lender Countrywide Financial Corp. is making more loans, taking advantage of a period of turmoil to increase its market share. L.A. Mayor Antonio Villaraigosa on Thursday named the former head of Seattle-Tacoma International Airport as the next chief of L.A. 's airport system. Countrywide Financial Corp.'s share price jumped Tuesday on renewed speculation of a buyout of the Calabasas-based company, the nation's largest mortgage lender. Shares in WPT Enterprises Inc. didn't budge despite the poker-focused entertainment company swinging to a loss for the second straight quarter. Shares in DirecTV Group Inc. lost more than 2 percent Wednesday after the satellite TV provider missed analysts' expectations. Shares in True Religion Apparel Inc. gained more than 8 percent Wednesday after the denim company reported a double-digit drop in profit. Amgen Inc. shareholders overwhelmingly approved corporate governance reforms during the company's annual meeting that should give shareholders more power to approve or reject board members. Shares in Trio-Tech International surged nearly 30 percent Wednesday after the company reported a 530 percent hike in third quarter net income. Two of the world's largest drug companies are paying hundreds of millions of dollars to doctors every year in return for giving their patients anemia medicines, which regulators now say may be unsafe at commonly used doses. VCA Antech Inc. said Wednesday that it has agreed to buy privately held Healthy Pet Corp. for $153 million in cash. THQ Inc. said Wednesday that it has acquired Finnish mobile video game maker Universomo Ltd.
Shares in Edison International gained more than 2 percent Wednesday after the utility company posted strong earnings, helped by lowered costs from coal-fired power plants. Union negotiators for grocery workers throughout Southern California once again walked out of contract talks with three major supermarket chains on Thursday. Walt Disney Co. reported net income that exceeded Wall Street expectations but still saw its share fall when its revenue came up short. Shares in Arden Group Inc. dipped Tuesday after the supermarket chain reported a boost in profit despite a small increase in revenue. A continuing transformation of the music retail industry cut deeply into second quarter fiscal earnings at Warner Music Group Corp.
Northrop Grumman Corp. won a share of a U.S. State Department global military and peacekeeping training contract that could be worth as much as $200 million. Walt Disney Co.'s ABC and ESPN have struck a deal with cable operator Cox Communications Inc. to offer hit shows and football games on demand -- but with the condition that Cox disables the fast-forward feature that allows viewers to skip ads. Walt Disney Co. is working with Japanese real estate development firm Oriental Land Co. to open a "Disney-themed entertainment facility" in 2010. Amgen Inc. and Johnson & Johnson may be required to change prescribing information and reduce the recommended dose of their top-selling anemia drugs due to potential health risks, federal regulators said Tuesday. Avi Brosh's real estate career has blossomed, first as a developer of homes, and now of extended-stay boutique hotels. The acquisition of AOL's on-demand music service has armed Napster with a large subscription base. Now it's ready to invade Japan. Once largely limited to clothes worn by angry Goth or heavy metal teens, skulls now are showing up on business suits, wallets, pearl necklaces and even baby blankets. Abraxis BioScience Inc. has formed a joint venture with privately held Cenomed Inc. in an effort to develop treatments for psychiatric and neurological conditions, the Los Angeles-based drug maker said Monday. Image Entertainment Inc. will release the old "The Cabinet of Dr. Caligari" but with a contemporary twist. Boosted by a legal settlement, OSI Systems Inc. reported a nearly three-fold jump in third quarter profit. An Amnesty Wouldn't Deprive Others of Entry Into U.S.
L.A.-based architecture and planning firm RTKL Associates Inc., along with consulting firm Blackman Cunningham and G2 Strategic, has formed a design and development consultancy targeting sports and entertainment districts worldwide. Shares in Hansen Natural Corp. dipped 3 percent Monday after the juice and soda maker said its sales for the quarter grew 40 percent but will still miss Wall Street estimates. A new coalition of 36 major companies plans to launch a political campaign calling for medical insurance to be expanded to everyone along lines Gov. Arnold Schwarzenegger is proposing for California. Content Partners pays now to acquire the future payments that actors and other talent may get from films and TV shows. Patrice Elmi's first solo installation show features 100 abstract photographs of Los Angeles alleyways and storefronts taken with her 1.3 mega pixel camera on a cell phone. The tallest office building in Beverly Hills' "Golden Triangle" is trading hands at an eye-popping price. Century City is becoming a destination of choice for financial institutions. Shares in Mercury General Corp. gained nearly 4 percent Monday after the company beat Wall Street's expectations for first quarter earnings, posting a rise in profit and revenue. Once hailed as a jewel of development and the "downtown" of the San Fernando Valley, Warner Center finds itself at a crossroads - torn between its urban ambition and suburban legacy. Angelo Mozilo gave himself a pay cut because he became a "lightning rod of negativity" for Countrywide Financial Corp.
Wayne Avrashow writes that plans for an expansion of the Los Angeles Convention Center are unnecessary. Bingham McCutchen LLP has acquired another esteemed Los Angeles firm, Alschuler Grossman LLP. Despite a conflict-of-interest controversy, All Student Loan Corp. contends it may end up with an even greater market share. The proposal to turn Olympic and Pico boulevards into one-way streets is generating opposition from businesses, especially in Koreatown. Overhill Farms Inc., a Vernon-based frozen foods maker, reported lower-than-expected second quarter earnings, sending its shares down sharply on Monday. Los Angeles has another new bank startup: the Bank of Manhattan as in the South Bay city, not the Big Apple. Job creation in California will slow significantly over the next few months thanks to a drop in construction spending and slower national growth, according to a report released Monday from Chapman University. RPost stamps e-mails with proof of delivery so that they can be used as legal documents. Shares in Guitar Centers Inc. surged Monday after the company reported growth in both sales and profit. Regional news from L.A. County and beyond. The anticipation of big things to come boosted shares of Peerless Systems, Overhill Farms and Cogent while poor earnings and unmet expectations lowered Ducommun, Big 5 and Move Inc.
With PumpTop TV, drivers will get a dose of advertising while they buy gasoline. Shares in J2 Global Communications Inc. wavered after the company reported double-digit growth in sales and profit. Union Pacific Corp. has unveiled a $300 million modernization plan for its Los Angeles port facility with the intention of making it less polluting while also moving more cargo more quickly. Jet Propulsion Laboratory will break ground on its first "green" building Monday. Watt Companies Inc., a Santa Monica-based commercial real estate owner and developer, has agreed to sell Centro Properties Group its stake in the two company's joint real estate venture. Rejecting a ballot-box battle in the city's mall wars, Westfield says it will now sue to block a rival's neighboring project. Louisville-based Ventas Inc. filed a lawsuit claiming Health Care Property Investors Inc. sabotaged its efforts to acquire Sunrise Senior Living. Boeing Co. employees who work on the C-17 ratified a new three-year collective bargaining contract with the company on Thursday, union representatives said. Airport area hotels won a major victory Friday when a Los Angeles Superior Court judge released a ruling that struck down a Los Angeles city ordinance requiring the hotels to pay their workers the city's living wage. Southwest Water Co. said Friday that it has acquired Diamond Water Co. and Water Services Inc., both just outside of San Antonio. Despite a slowing economy, weak consumer confidence and a slumping housing market, container traffic at the Long Beach-Los Angeles seaport will surge to record levels this year, according to a new report. Diodes Inc. reported double-digit growth in profit as well as sales; however the company still missed Wall Street's expectations. Activision Inc. said backdated stock options issued over the past 13 years would cost the video game developer $67 million before taxes in non-cash expenses. Shares in Tetra Tech Inc. dipped more than 5 percent Thursday after the firm's second quarter earnings fell short of analysts' projections. Angelo Mozilo, chairman and chief executive of Countrywide Financial Corp., is taking a pay cut in an effort to blunt criticism of his compensation. Cougar Biotechnology Inc. said it has entered into private placement agreements with institutional investors to sell 2.5 million shares of common stock at $20 per share, with total gross proceeds to the company of $50 million. Gemstar TV Guide International Inc. reported Thursday that first quarter profit soared nearly 300 percent, sending shares up nearly 4 percent Friday. Wider profit margins boost net income of the El Segundo-based sporting goods retailer. Developers led by former U.S. Secretary of Housing and Urban Development Henry Cisneros have started work on a $90-million "workforce" housing project near Marina del Rey. Walt Disney Co. said that it is adding a lineup of quincea & #324;era events to the party offerings at its Orlando-based Disney World resorts. Beverly Hills-based Mastro Group was acquired by Rare Restaurant Group for $190 million. Shares of Herbalife Ltd. rose slightly Wednesday, a day after the supplement and diet products maker reported its thirteenth consecutive quarter of double digit sales growth. Shares in CB Richard Ellis Group Inc. soared nearly 15 percent Wednesday after the world's largest real estate broker reported a 62 percent surge in revenue. Shares in Maguire Properties Inc. stayed steady despite downtown Los Angeles' largest office landlord posting its fourth-straight quarterly loss (and its seventh loss in the past eight quarters). Shares in United Online Inc. hit a 52-week high Wednesday after the Internet company posted slight increases in profit and revenues and upped its second quarter guidance anticipating robust ad spending. Traffic in the port complex was unusually slow Tuesday as thousands of truck drivers boycotted marine terminals in coordination with national immigration reform protests. We apologize for the temporary lapse in service of our Web site earlier today because of a technical problem. As always, thank you for reading the Business Journal. Motorola Inc. and Pasadena-based Avery Dennison Corp. have formed a strategic partnership to make the next generation of radio frequency identification, or RFID, tags.